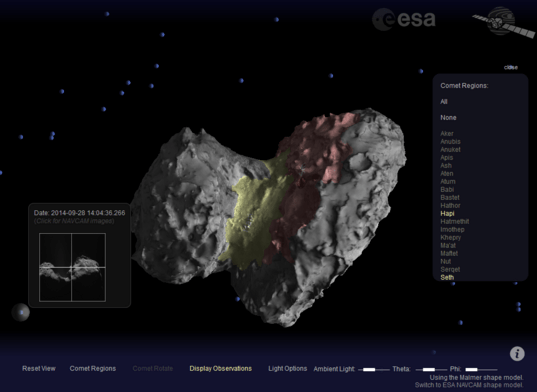 Spin the comet 67/P at the European Space Agency‘s comet tool. Photos taken by Rosetta, model made by Mattias Malmer. Found the link to this tool at the Planetary Society.